Nearly 8,500 households in the Sacramento area took advantage of United Way-led free tax help programs for the 2017 tax year, resulting in more than $10 million in money claimed through the Earned Income Tax Credit (EITC), other credits and refunds. The in-person Volunteer Income Tax Assistance (VITA) program, led by United Way California Capital Region with support from Citi Community Development, helped 7,422 local households, and United Way’s MyFreeTaxes.com helped 1,066 users file taxes. Thanks to two-year funding from Citi Community Development, free tax help was significantly expanded across the region in Amador, El Dorado, Placer, Sacramento and Yolo counties this year, increasing the number of households helped by more than 2,500 and resulting in more than a $3 million increase in refunds for the region compared to last year. A limited number of appointments are still available this summer for households looking for help with late filing and which earned $54,000 or less in 2017. IRS-certified volunteers will provide free basic tax return preparation with electronic filing and will help local households claim tax credits, including federal and state EITC, Child Tax Credit, and Credit for the Elderly or the Disabled. This year, more households are eligible to earn up to $6,500 in federal and state EITC, including those who are self-employed. To make an appointment, call 2-1-1 in Sacramento, or (916) 498-1000 if living outside the city, Monday-Friday from 8 a.m.-5 p.m.
“This free tax help is crucial to ensuring our local families are financially healthy, and we are grateful to our funders and partners and 433 volunteers who have already served more than 16,000 hours to help local families,” said Stephanie Bray, president and CEO, United Way California Capital Region. Funding support from Citi Community Development is enabling United Way California Capital Region to increase the capacity and reach of the local VITA program to meet additional need and demand this year and next. The funding is helping to expand the number of sites offering free tax preparation and to increase the number of volunteer tax preparers. Local households that made $66,000 or less in 2017 were eligible to file state and federal taxes online for free at MyFreeTaxes.com, sponsored by United Way Worldwide. The site provided households with free tax help so they could maximize refunds and credits and save an average of $200 in preparer fees, guiding users through federal and state filing with software powered by H&R Block. Other sponsors of United Way’s 2018 free tax preparation programs include the U.S. Internal Revenue Service, SAFE Credit Union and SMUD. For a list of collaborating partners, visit YourLocalUnitedWay.org/VITA. 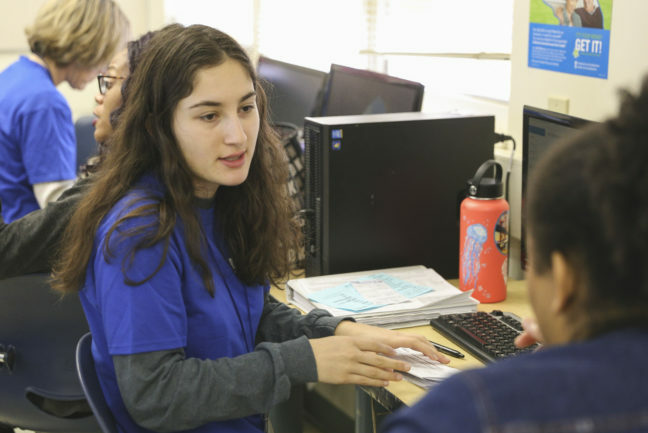 United Way California Capital Region is leading these free tax help programs as part of its Square One Project, a 20-year promise to significantly increase the number of local students who graduate from high school ready for success in college and beyond. Household financial well-being is a key factor in student success. Through nine decades of work and research across Amador, El Dorado, Sacramento, Placer and Yolo counties, the local United Way believes ending poverty starts in school and is working to ensure kids meet important milestones for success in college or career. To donate or volunteer, visit YourLocalUnitedWay.org.